SEVEN TIMES IN-A-ROW! We have to admit – it feels good to win! 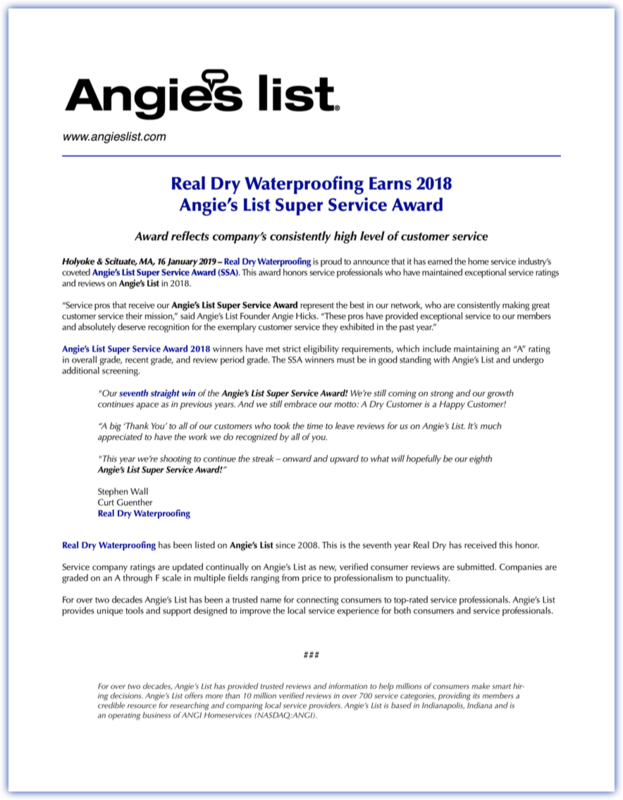 Remember our motto: “A Dry Customer is a Happy Customer!” Thanks again to all our Angie’s customers.